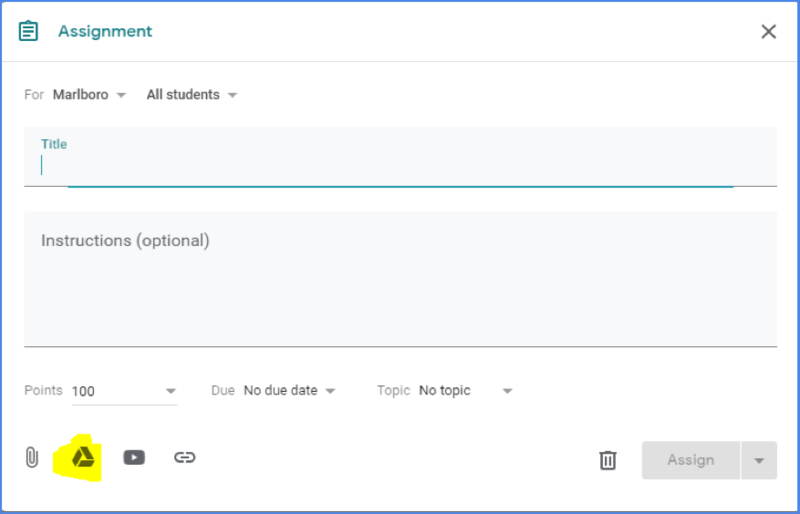 Google Forms and Google Classroom are fantastic tools for educators – read the blog below to learn two great ways to help them better integrate with each other in your classroom. 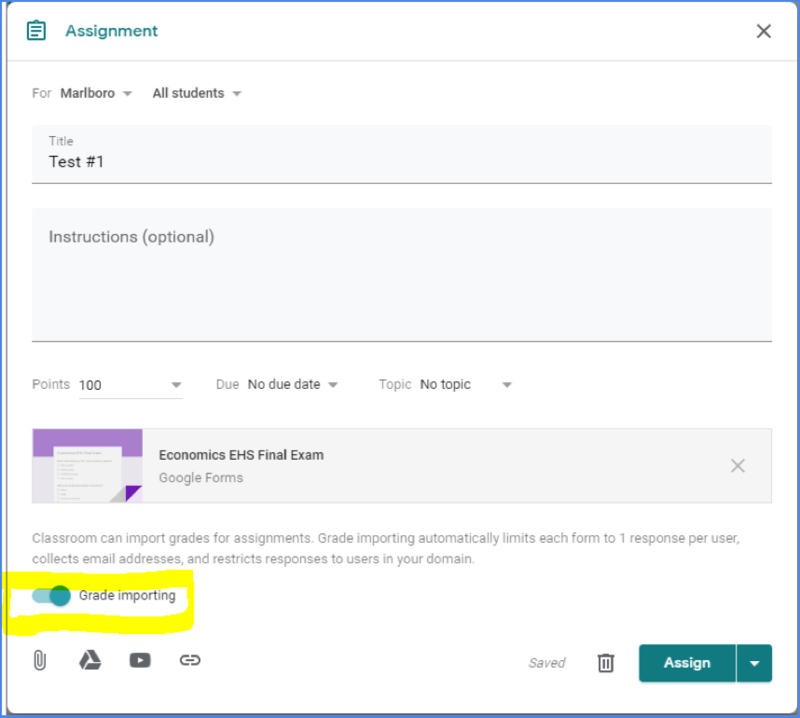 If you’ve used Forms in the past, you’ve most likely found out the hard way that if you wanted to use the Form as a Google Classroom assignment, the grades were unable to import into the grading factor of Classroom. In addition, there wasn’t an option for the work to be recognized as “submitted” when only observed through Classroom. 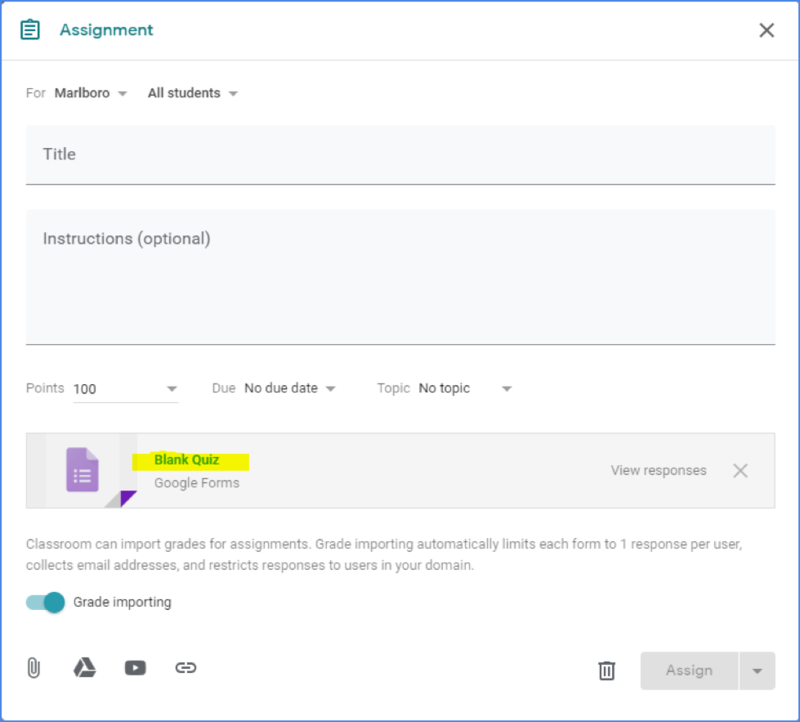 Here’s how to bring those pre-made Forms into Google Classroom – and bring the grades along with them! 1. While in Classroom, choose the “Classwork” category. 2. Click the “+Create” button. 4. 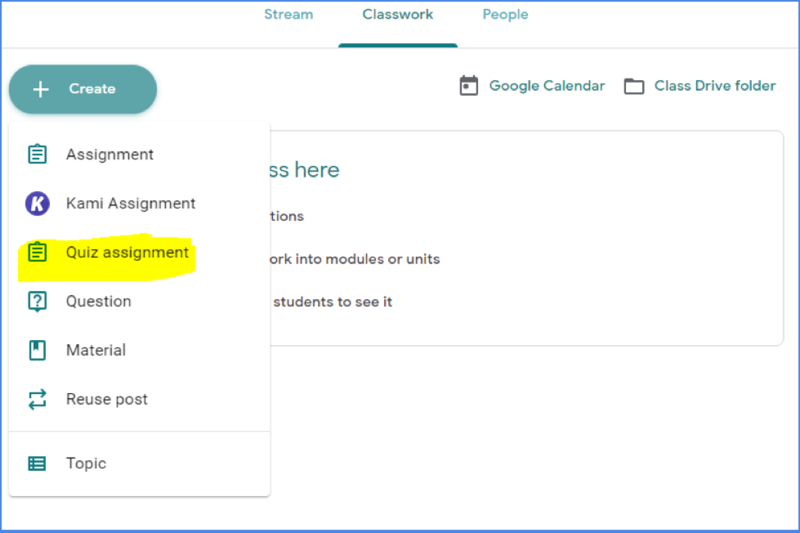 When the assignment window appears, click on the Google Drive logo to fetch the Form. 5. When the Form is found and selected, the importing grades toggle will default to being on. Also notice that it will ask to provide a unique copy to each student. 6. Provide a title for the Form in the title field. You can also set a due date, etc. as in other assignments. Creating a Google Forms quiz is a great way to bring student assessments and grades together in Google Classroom. Here is a quick breakdown of the steps. 2. When the Assignment window opens, click on Blank Quiz. 3. This will open the Form you will give to the students. Proceed as you normally would to create a Google Form/Quiz. 4. When finished, click on the left arrow to return to the Forms homepage. 5. Once you title the assignment, you can click the upper right corner “X” to leave it as a draft, or you can submit the Form as is. 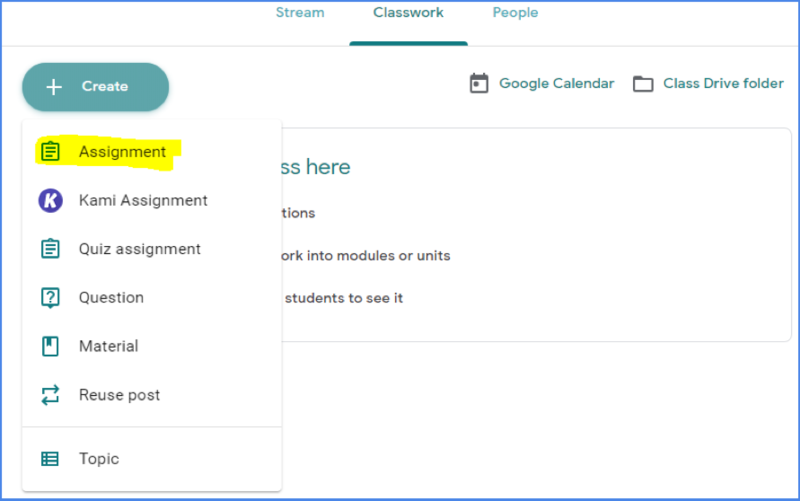 I hope these tips will help you get those Forms and Quizzes into Google Classroom more easily and efficiently. For more tips, visit the Teq Tip library!